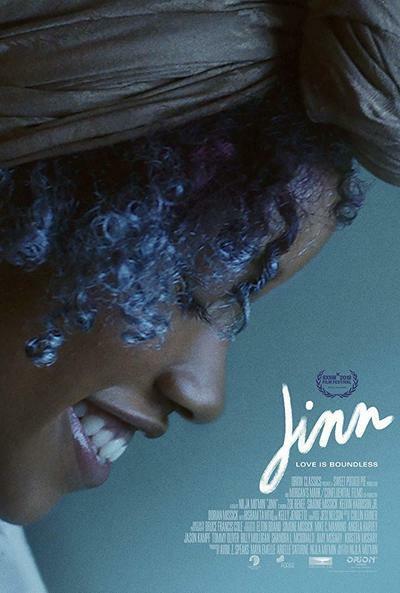 Like many other teenagers, the lead character of Nijla Mu'min’s debut feature, “Jinn,” struggles with where religion fits into her life. Where does prayer fit in between dance practice, hanging out with friends and flirting? It’s an answer everyone finds on their own terms, and for Summer (Zoe Renee), spirituality is just another part of her journey towards womanhood. In her senior year of high school, Summer seems to have things pretty figured out. She has her set of close friends, she’s applied for colleges and looks forward to studying dance after she graduates. But if there’s one key message to learn from “Jinn,” it’s that identity is a fluid state. When Summer’s mom, Jade (Simone Missick), decides to convert to the Islamic faith, Summer’s view of herself is also shaken. Jade begins to bring Summer to her mosque and forces her to wear a headscarf. Is this the person Summer was supposed to become or is she supposed to cling to her old self? Inevitably, the two sides of Summer’s personality clash within her and against her mother. “Jinn” holds several beautiful elements, especially in its central mother-daughter story. Theirs is a fraught relationship, and even though the audience spend only 92 minutes with them, there’s a deep sense of their history, ups and downs, resentments and previous fights. With faith in the mix of generational conflict, the stakes feel higher—especially when they’re fighting in the car, stuck with anger and exasperation between them. Jade does not want to lose her good standing in this new community where she feels welcome, and Summer’s a extroverted spirit who didn’t sign up for the duties of religious life. Rebellion almost seems inevitable. Just as the film humanizes the pair’s struggle, it addresses the obvious conflict of a mid-career woman publicly changing her faith. The TV station where Jade works becomes a hostile space, and the intolerance shows itself in subtle microaggressions, like the snickers of co-workers when Jade wears a headscarf on air or when the station hires a replacement without telling her. It’s never a showy display of xenophobia, but the effect is the same and uncomfortable. We see the side of Jade’s fight that Summer may not yet understand, and “Jinn” is richer for delving into the dual stories. The actress who plays Summer, Zoe Renee, embodies the uneasy, fiery spirit of her character with great sensitivity. In her hurry and brashness, she makes plenty of mistakes but carries on from social media scandals, spats between friends and in one crushing scene, getting called out in the middle of a sermon. There’s great empathy in Renee’s performance, even if Summer causes many of her own problems. Renee handles her character’s complexities with ease, and it’s not just enjoyable to follow Summer in her personal journey, those teenage insecurities are made tenderly relatable. Mu'min films “Jinn” under a warm California sun, dreamily picturing Summer’s world as bright and colorful. Even the blue-tinted scenes of her bedroom at her dad’s place or her underlit room at her mom’s home feel sunny. There’s a warmth to Mu'min’s images that echoes its characters’ determination, even during their toughest moments. “Jinn” can be neatly summed up in a line of dialogue, “Life is about reinvention.” Changing is a form of growth, and if we were to ever stop growing, well, what’s the fun in living? Friends and colleagues who don’t approve of or understand their new faith let loose their hidden prejudices. But even joining a new community comes with its own set of growing pains, and “Jinn” does not leave those rough patches out. Renee and Missick’s performances are so remarkable and the story is so compelling, I left the movie with a new feeling: hope that audiences watching this movie may be more empathetic towards others’ life changes.